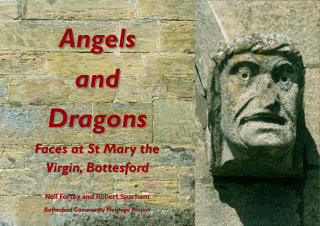 Published in November 2014 and launched at the St Mary’s Christmas Fair in the church on the 29th November. St Mary’s contains a great store of medieval carvings, post-Reformation tombs and other art. Visitors can see it all for free, but in the case of the carvings high on the clerestory you will need a pair of binoculars to see the detail of these spendid examples of the late-Medieval stone mason’s art. 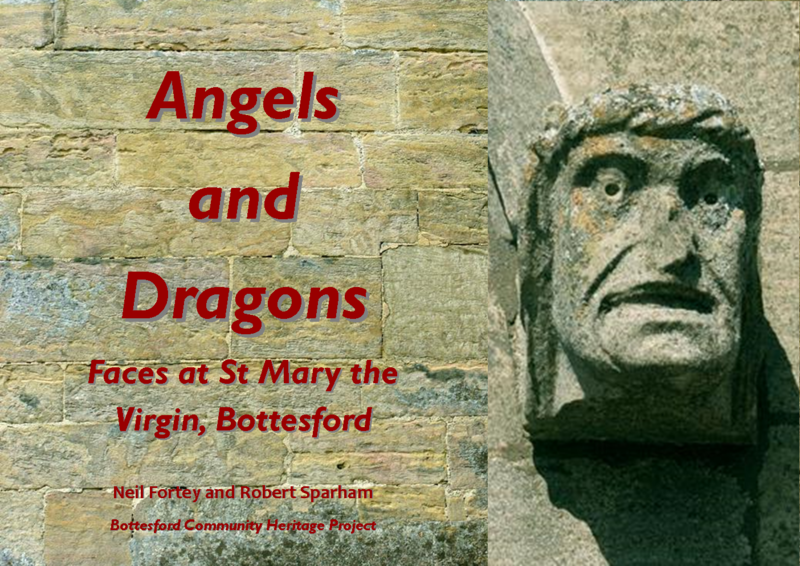 This book takes you on a tour of the church, concentrating on details of the carved faces of Kings, Earls, Countesses, saints, angels, dragons, mythical monsters and much more. Details hidden high up or in the gloomier parts of the church’s interior, emerge to meet us face to face. This book will appeal to historians and artists, as much as to visitors and Bottesfordians across the globe. Profits from sale of this book go to the Friends of St Mary’s, a charity devoted to maintaining the fabric and beauty of the building, the “Lady of the Vale”. Booksellers, bang smack in the middle of Leicester’s shopping centre, Maynard & Bradley , 1 Royal Arcade, Silver Street, Leicester LE1 5YW. This page was added on 30/11/2014.